"I believe in the power of Love to heal the body, mind and spirit." "I believe that illness and loss in the 'Garden' of life can lead ..."
"... to powerful opportunities for healing and transformation." 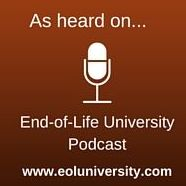 Join this FREE Interview Series on aging and the end-of-life! Dr. Karen Wyatt is a family practice physician who spent most of her 25-year career in medicine caring for patients in challenging settings such as nursing homes, hospices, free clinics and homeless shelters. 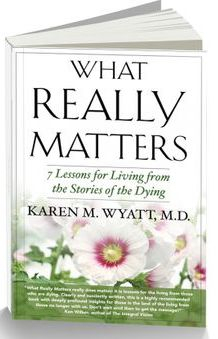 Her work with patients who were facing the end of life inspired her to write the book “What Really Matters: 7 Lessons for Living from the Stories of the Dying,” which describes the spiritual lessons she learned from her hospice patients. 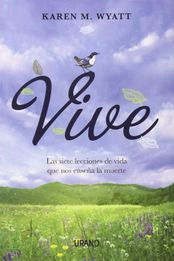 Dr. Wyatt teaches that in order to live life fully we must each overcome our fear of death and embrace the difficulties that life brings us. She is an inspired teacher and keynote speaker who truly embodies the message she brings to the world. 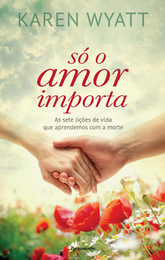 An interview series to provide resources and inspiration for the end-of-life. Join Dr. Wyatt for this FREE series of engaging conversations with experts and leaders in the aging and end-of-life arena. 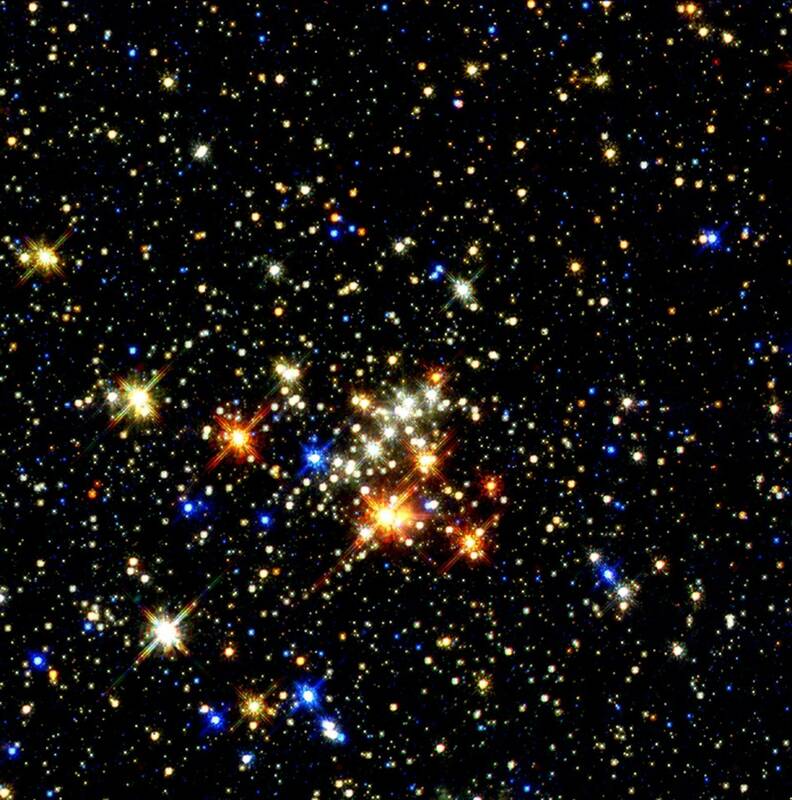 You will find inspiration and information twice each month in this online seminar series. Registration is free and you will receive notification by email before each interview. Click here for more information. Take your spiritual practice to the next level in this profound personal learning course. In this course Dr. Wyatt will lead you on a journey through the 7 Lessons from the book What Really Matters and show you how to apply them to your day-to-day life. 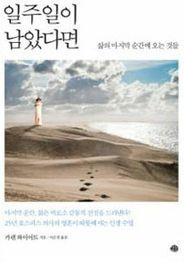 Through a series of self-paced weekly audio recordings, journaling activities and practices, you will experience the wisdom of each lesson, such as Forgiveness and Surrender, from a new perspective. Get Over It For Good! 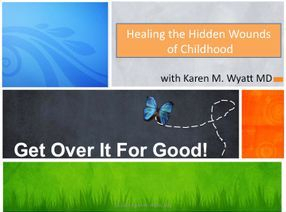 to provide you with a plan for healing the hidden wounds of childhood that may be sabotaging your relationships, your spiritual growth and your ability to remain in the present moment. Click here for more information about Get Over It For Good! 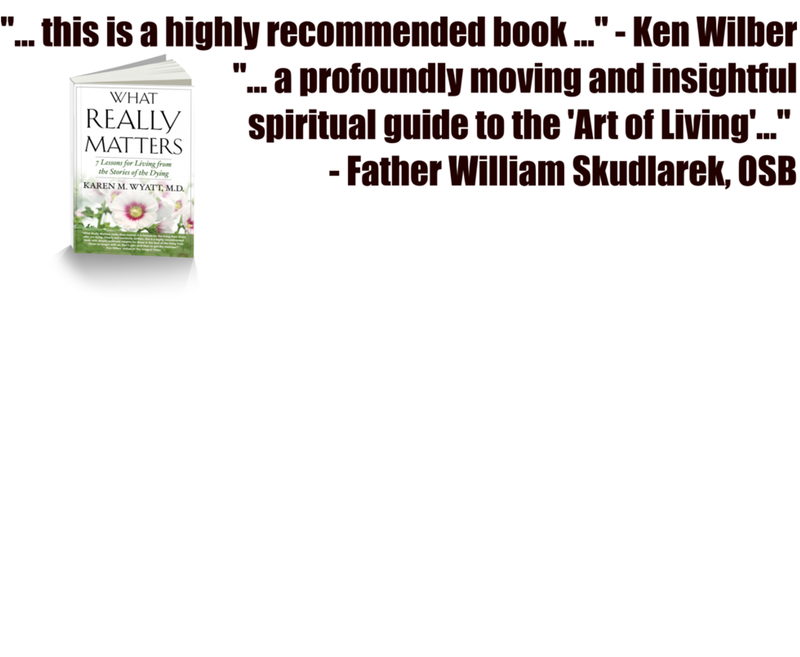 Through the stories of dying patients and the important spiritual lessons they learn at the end of their days, What Really Matters shows us how to live our lives NOW! What Really Matters around the world! 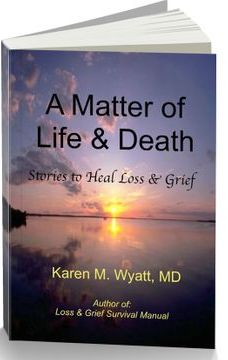 A book of heart-opening stories from Dr. Wyatt's own journey of grief as she coped with the death of her father. 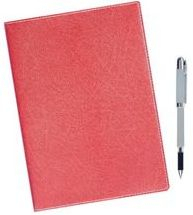 Would you like to start keeping a journal? FREE resources for hospice workers and families of hospice patients.